We collected information on the life history requirements of four rare south Puget Sound butterflies in 1998-1999; the mardon skipper (Polites mardon), Puget blue (Plebejus icarioides blackmorei), Whulge checkerspot (Euphydryas editha taylori), and valley silverspot (Speyeria zerene bremnerii). Our study focused on adult feeding behavior and habitat selection. We also documented plant species used for egg-laying and larval food for three of the butterflies studied. Our goal was to provide critical information regarding the relationships of these rare butterflies with grassland plants and micro-habitats in order to enhance on-going prairie restoration efforts. We followed individual butterflies to count and identify nectar plants, comparing plants used with those available. We also collected information on the distribution and density of principal nectar species, habitat composition, and height and cover of Scotch broom. 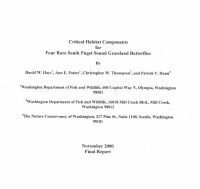 Download "Critical Habitat Components for Four Rare South Puget Sound Grassland Butterflies"
Hays, D. W., Potter, A. E., Thompson, C. W., Dunn, P. V.
Hays, D. W., Potter, A.E., Thompson, C.W., P.V. Dunn. 2000. 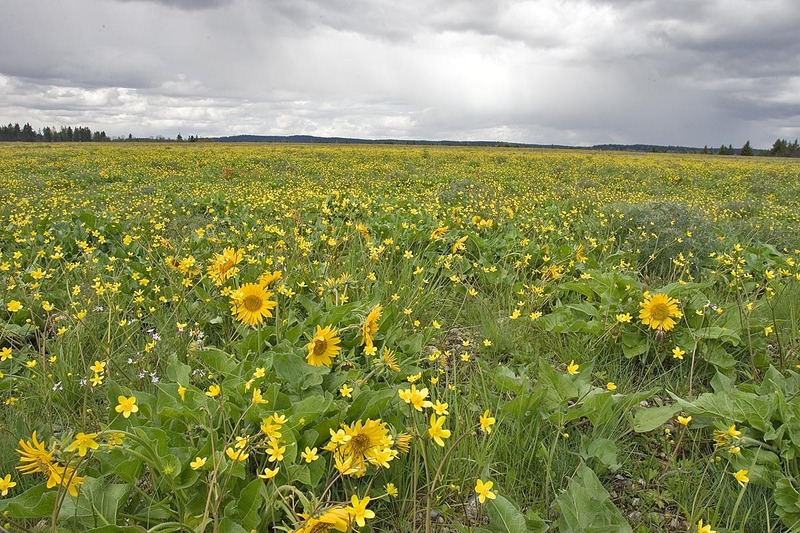 Critical habitat components for four rare south Puget Sound grassland butterflies. Final Report. Washington Department of Fish and Wildlife, Olympia. 38p.